Here's an all too familiar story: major app or service gets new feature, releases it on iOS and says it's coming soon or later ... or sometime in the future we don't really know since we just started working on it and our one Android developer is a bit overwhelmed with everything we asked him to do just now and you should be patient because we really value our Android users, cross our heart and hope to die, and we want them to have the same experience as iOS users but it's hard to give you a solid timeline, so trust us that it's coming and we're trying really hard or as hard as we can to make it look like we are, but just leave us alone for a few months and maybe then ask us about it again? Spotify has just pulled the same stunt. It announced tons of changes in what is probably the most significant update to the service since its launch, but it's only releasing it to iOS and shunning Android for the time being. No soup for you! But before I get ahead of myself, let's run through the new features. First up is a new "Now" start page that offers music based on the time of day, but also adapted to your mood and personal taste. Second is Running, a new feature that serves uplifting and upbeat tunes with BPMs that are perfect for your tempo and favorite genres. It should help you stay in the zone longer or go faster whenever you feel like you need to be challenged. The idea isn't certainly novel — DjRun and RockMyRun have been doing it for years — but it does have the advantage of Spotify's curation, collection, and personal recommendations. Spotify Running will also be integrating with Nike+ and RunKeeper's apps later. 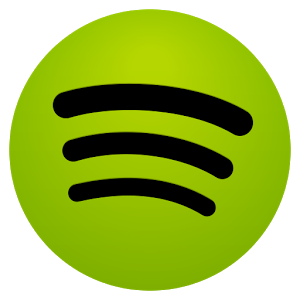 Spotify is also planning to expand beyond music and serving others' content. It wants to be your central hub for all entertainment, and that involves audio shows (podcasts like Stuff You Should Know, Nerdist, TWiT's productions, and more) and video. The latter is the largest departure in the company's vision, since Spotify is usually the app you run in the background and videos would require you actually keep your screen on, the app open, and your eyes on it. Videos will span a wide variety from entertainment (from the likes of Comedy Central and Condé Nast Entertainment) to news (think ESPN, BBC, ABC, and NBC). Finally, like most streaming services now, Spotify is getting into the exclusive and original content game starting with their own six running tracks that can adapt to your cadence. The new Now experience will begin rolling out today to iPhone users in US, UK, Germany and Sweden - with more markets and platforms to follow in the near future. Spotify Running will start rolling out to iPhone users globally today. We'll also be rolling out to Android, though no specific timing. And there you have it folks. Near future and no specific timing, the two sentences that make Android users shiver in evermore frustration each time they hear them. It's not like Spotify is a startup working on a budget here or Android is used by oh, I don't know, about 80% of the smartphone users on the planet. We still get treated like second-class citizens because it's the norm, it's easy, and it's lazy. If Twitter is doing it, why can't Spotify? In the meantime, you can sit tight and find the mellowest Taylor Swift song about being abandoned, the most heart-wrenching Adele tune about breakups, Guns 'N Roses Patience, or Lenny Kravitz' I'll be waiting. You certainly won't run out of options, the entire music industry is built on the feelings of neglect, betrayal, and rejection.